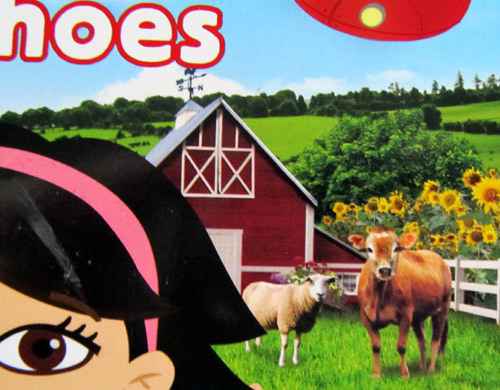 Which children’s book shows the most cows? 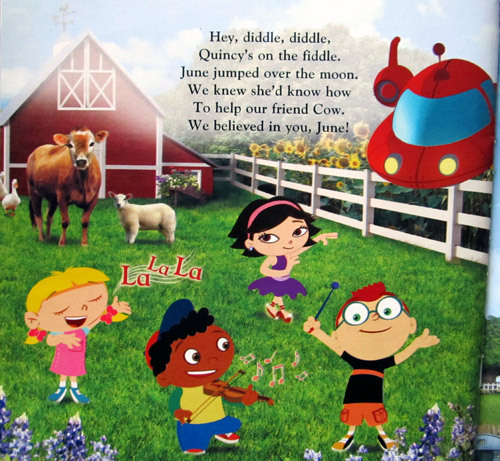 We have this children’s book at home called June’s shoes from the Disney’s Little Einsteins series. One of my kids decided to pull it off the bookshelf today and read it, for the hundredth time. Someone gave me this book and I can honestly say that I would never have bought it, or even borrowed it from our local library. If it’s supposed to teach kids anything, the only fact they’ll learn is that cows live on farms (I bet Einstein knew that too!). Beyond that, the story is pretty lame and the writing and “rhymes” are so bad, I’m guessing the writers must have been breathing noxious gases while they were brainstorming. The funny thing about this book is the outrageous number of times the same cow appears inside. And it even wears props… Are you ready to count? Here we go! 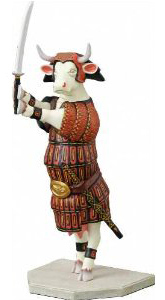 Cow # 2 – are you reading for this story? 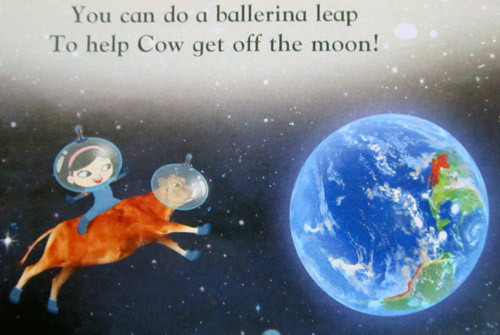 The poor cow tried jumping over the moon, but instead got stuck on it! Here it is, wearing its astronaut helmet and space boots, helpless on the moon’s surface. 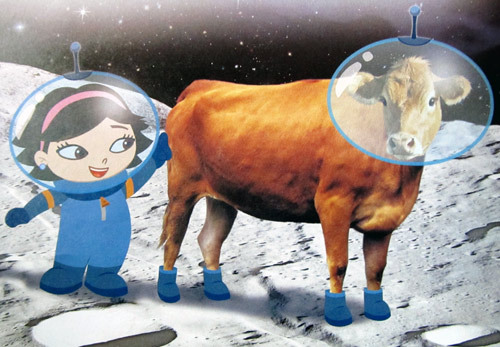 Could the cow please tell us if the moon is actually made out of cheese? 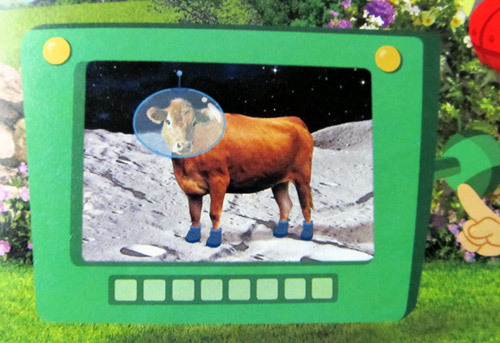 Cow #4 jumps off the moon and gets back to earth. A small step for a man, a giant leap for a cow! 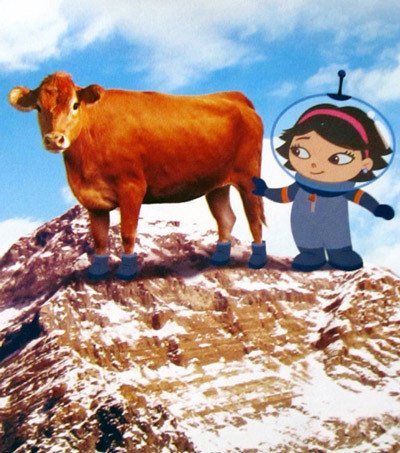 Cow #5 safely lands on Mount Everest. Wow, I thought it was a cow, not a yak. By the way, that cow looks GIANT! I see a Disney horror movie spin-off in the making. There you have it. 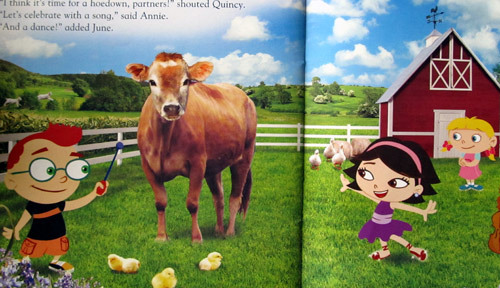 7 cows in one children’s book, 24 pages long. That’s 29% of the pages featuring the same cow. 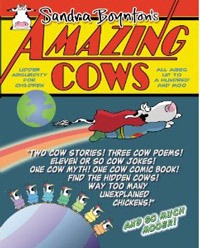 I challenge you to find another children’s book that shows a higher percentage of cows. Are you up for it? Previous Post Did you know the world’s oldest cow lives in Australia? Next Post My cow blog is being showcased on WordPress! I know, it’s SO bad, it’s good!